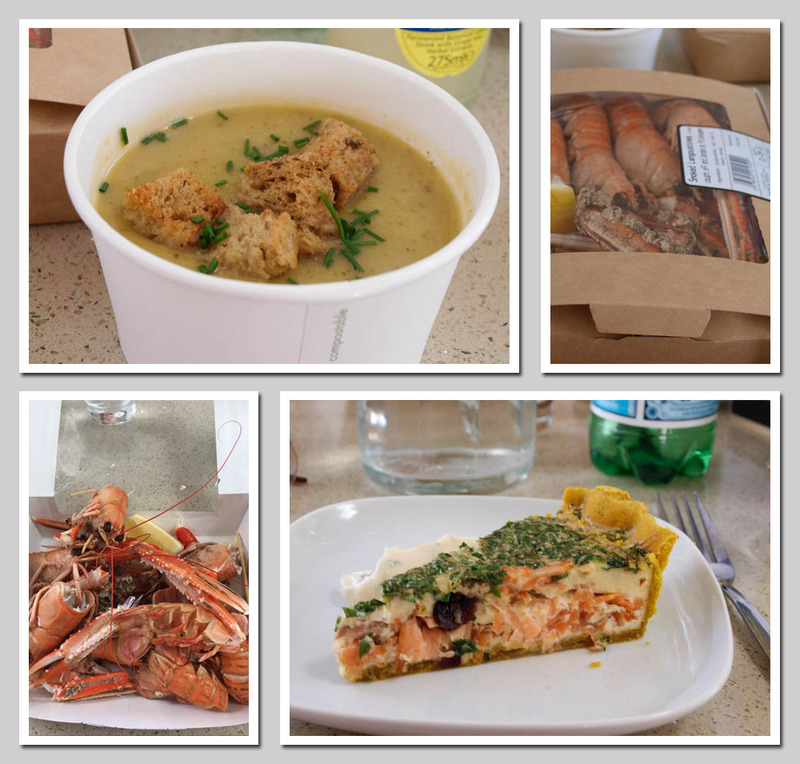 After our feast of chocolate at the Pittenweem Chocolate Company, it was er...time for lunch! 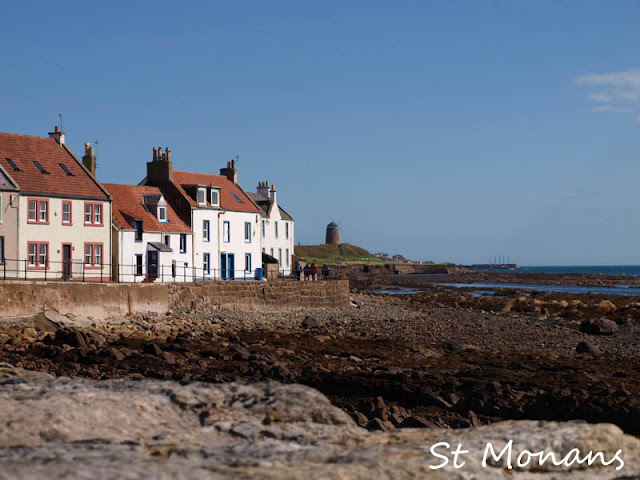 We headed just along the coast to St Monans, one of the quieter East Neuk villages, well it used to be quieter but it seems to be emerging from it's sleepy image and starting to challenge the tourist packed Crail, Anstruther and Pittenweem. 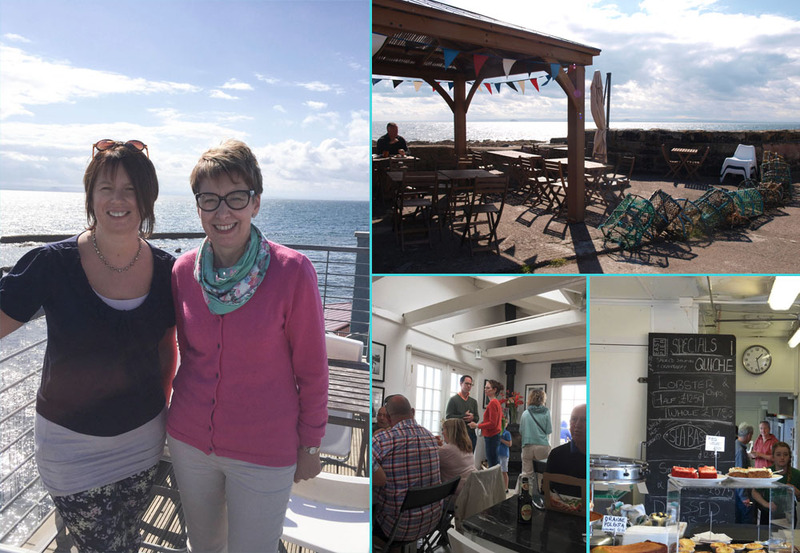 The focus of our visit and lunch was the East Pier Smokehouse. I had been to the East Pier Smokehouse about four years ago when my Mum and I bought some smoked langoustines, at that time there was only the shop and it was pretty basic, however things have changed and the East Pier Smokehouse now boasts it's own restaurant as well as selling seafood to take away. I think you will agree that the views from the restaurant are absolutely stunning and Claire from Foodie Quine and I were treated to an absolute feast, starting with a rich and creamy courgette and goats cheese soup and a box of smoked langoustines, the meat in Scottish seafood is really sweet which is down to the cold water around our shores! We also tried the smoked salmon and cranberry Quiche with a turmeric pastry, which was the special of the day, very good indeed. 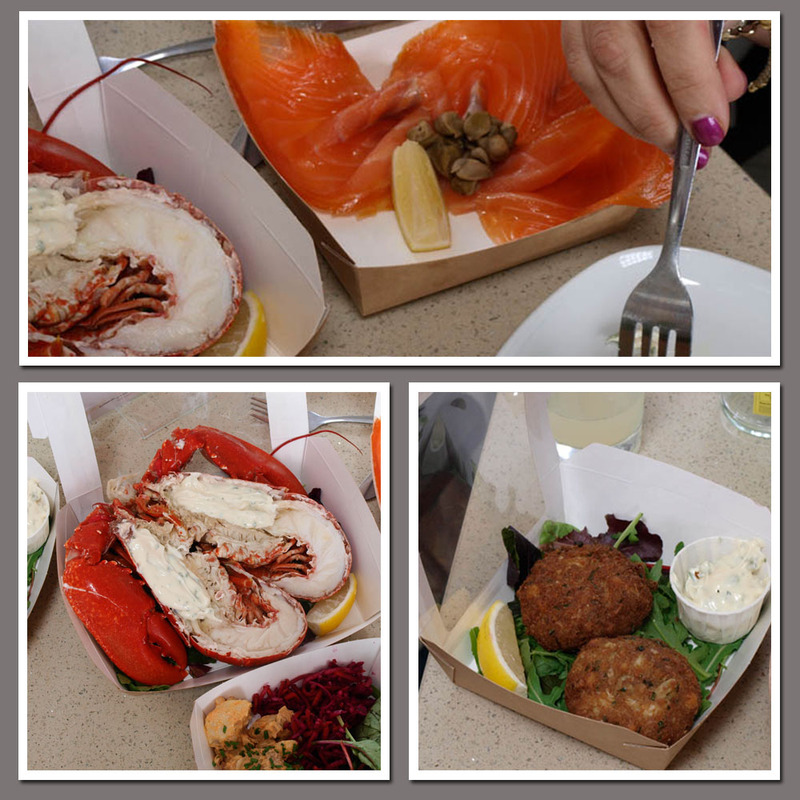 This was followed by the arrival of a range of the dishes that are served at the East Pier Smokehouse, lobster, crab cakes, salad and smoked salmon all served in cardboard boxes, it's a bit like going for a picnic on the deck of a ship! All of the seafood was totally delicious and next time I'm in Fife, I'll be making a reservation for an evening meal. We were quite taken aback when owner, James Robb, opened the door of he smokehouse and we saw just how small it was and really just a cupboard in the wall, but the smell of the cold smoked salmon was incredibly enticing. 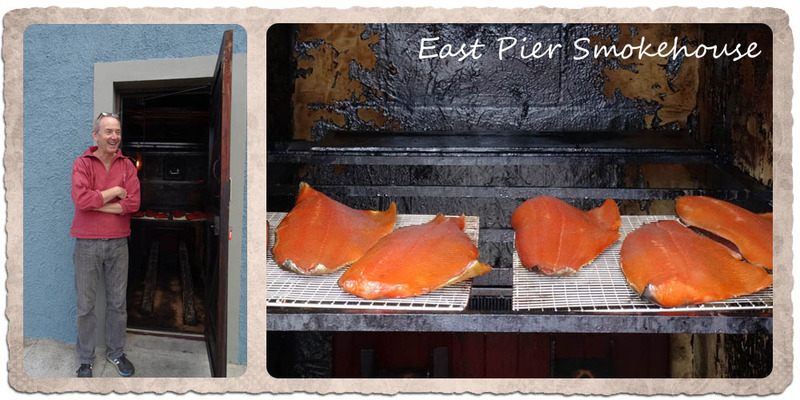 It's well worth a visit to the East Pier Smokehouse, but get there early for lunch as you can't book. Claire and I were now completely stuffed, as we jumped back into our luxury mini-bus, complete with water bottle holders, and were ably driven by Andy through St Andrews and on to the Eden Mill distillery and brewery at Guardbridge. 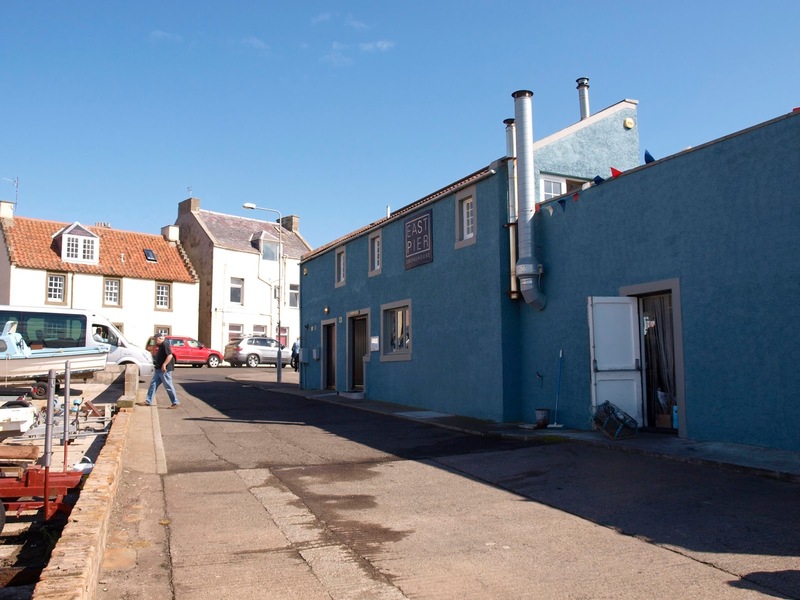 The Eden Mill is Scotland's only distillery and brewery on a single site, based on the site of a former Haig distillery, it produces award-winning beer and gin as well as small batch single malt whisky. 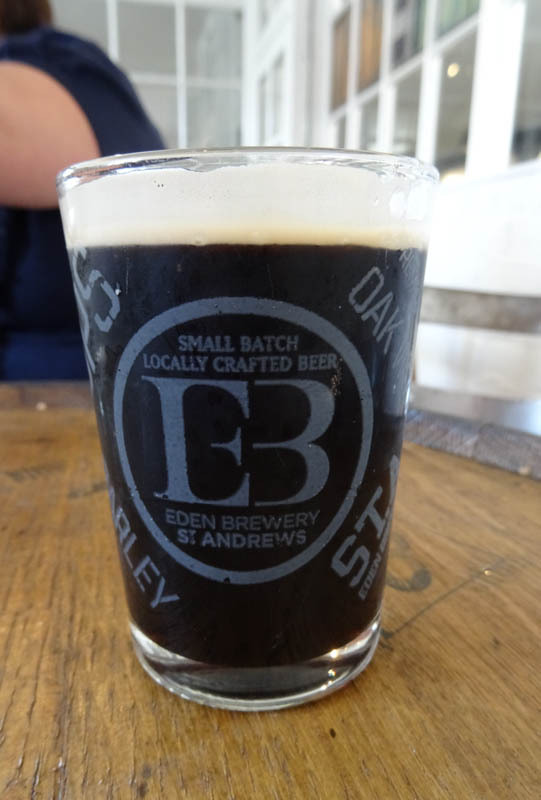 We started with a taste of a new Chilli Ginger Porter which Eden Mill expect to have on sale for Christmas. I'll certainly be looking for a few bottles of this brew in my stocking, it was smooth, not bitter at all, but with a lovely warm kick. 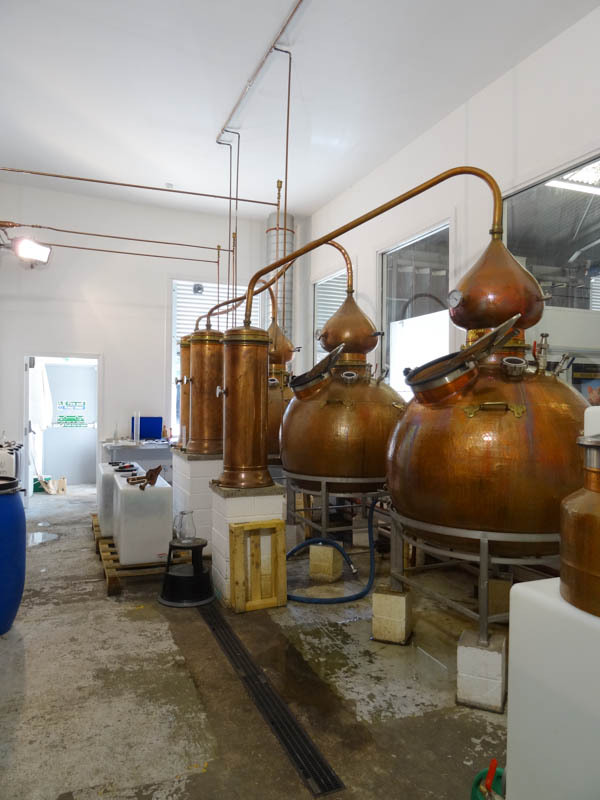 We then had a tour of the brewery and distillery with Kathryn Baker, where we learned about the gin basket which holds the botanicals during distilling, and saw the private casks of whisky, one signed by a former First Minister of Scotland. 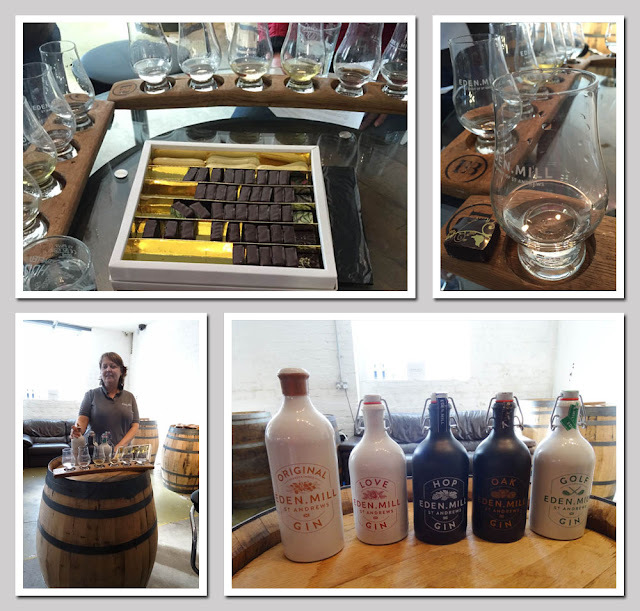 We then moved on to our task for the day; Gin and Chocolate matching, it was a hard job, but someone had to do it! 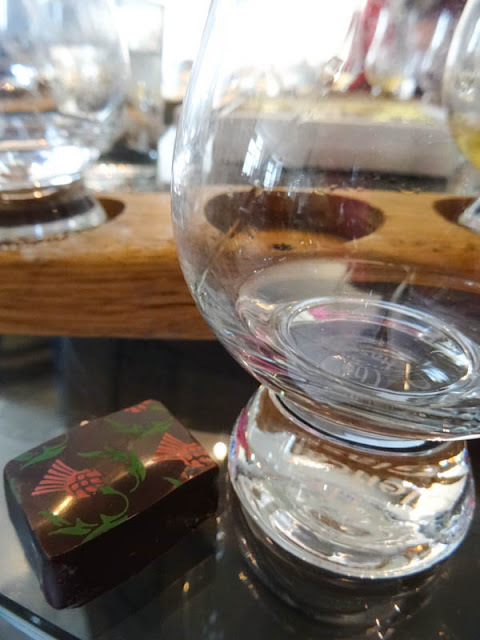 Eden Mill have five different types of gin and the chocolates we tasted with the matched gin came from Iain Burnett, The Highland Chocolatier who uses a unique single origin cocoa from the volcanic Island of Sao Tome. This intense cocoa is carefully selected for its exceptional range of fruity aromatic and spicy characteristics and painstakingly matched with unblended fresh Scottish cream from a particular herd of cows in Perthshire. This was paired with White Lime and hint of Chilli Velvet Truffle "Fresh notes of the Lime and sharp citrus of the gin are well matched, with the subtle heat of the cayenne highlighting a similar dryness in the Eden." Gorgeous combination, the chocolate seemed to bring out the gin flavour and vice versa, suddenly I'm convinced that matching chocolate and gin is a good idea. Hop Gin - A logical progression from brewing into distilling, using Galaxy hops to craft this first gin, This unique creation has a zesty freshness, and slight bitterness on the finish. The unusual colouring is as result of he hops, and persists once tonic is added. I quite liked the Hop Gin, although it is an acquired taste and I think would be good with something like ginger ale. This gin was paired with a Blonde White Langue de Chat "the simplicity of the creamy Madagascan vanilla which let's all the fruity flavours of he gin take centre stage" I didn't think the white chocolate added much to the gin and felt that the gin overpowered the chocolate. Love Gin - Bringing together an outstanding blend of local botanicals, Love Gin is also infused with rose petals and whole hibiscus flowers to give it a subtle pink colour. Rhubarb root and raspberry leaf ensure a delicate sweet finish. This is one of the most popular of the Eden Mill gins, it is very smooth without the 'edge' that I associate with gin. Paired with a White Raspberry and heather honey Velvet Truffle "an excellent match of both sweet fruit and Madagascan vanilla in the white chocolate play along with the summer fruits and even the honey doesn't dissipate the sweetness of this gin" The chocolate was lush, but I found the overall effect of the sweeter gin and the sweet chocolate just a bit much for my palate, the honey seemed to dominate the after-taste. Oak Gin - matured in oak-aged beer casks, this gin carries hints of vanilla and toasted caramel. With a warmth and spice reminiscent of whisky, this gin can easily be enjoyed neat. Paired with Ginger Velvet Truffle "the warm ginger is reminiscent of the warm spices of the gin and its gentle oak woodiness is as subtle as the oak notes which follow at the end of the dark Sao Tome chocolate." This combination certainly delivered on the warm flavours. Golf Gin - flavoured with hickory (reminiscent of the hickory shafted golf clubs made by the St Andrews Golf Company) this gin is described as a modern classic with notes of sweet lemongrass with a burst of mild pepperiness, strong hints of lime, coriander and aromatic spice. We had two different chocolates to try with the Golf Gin, Garden Mint Velvet Truffle, what a chocolate, it tasted just like fresh mint, I've never experienced anything like this in a chocolate and I would definitely recommend it. Tasted with the Golf Gin the story is that "this fresh light herb is the perfect segue to the aromatic gin in a ply of pepper and menthol", personally, much though I loved the chocolate, I felt that the strong mint flavour overwhelmed the gin. The second chocolate was a Lemongrass and hint of Lime Velvet Praline "a strong and heavy introduction to the grass and spices of the Golf" oh yes, now this was more like it. Again the freshness of the lemongrass was outstanding but, for me, a better compliment to the gin, of course lemon and lime are very much a traditional match for gin. The truffles had the most incredible intense flavours, a fresh and fruity explosion in your mouth, they went remarkably well with the different gins they had been matched to, something I wouldn't have imagined. 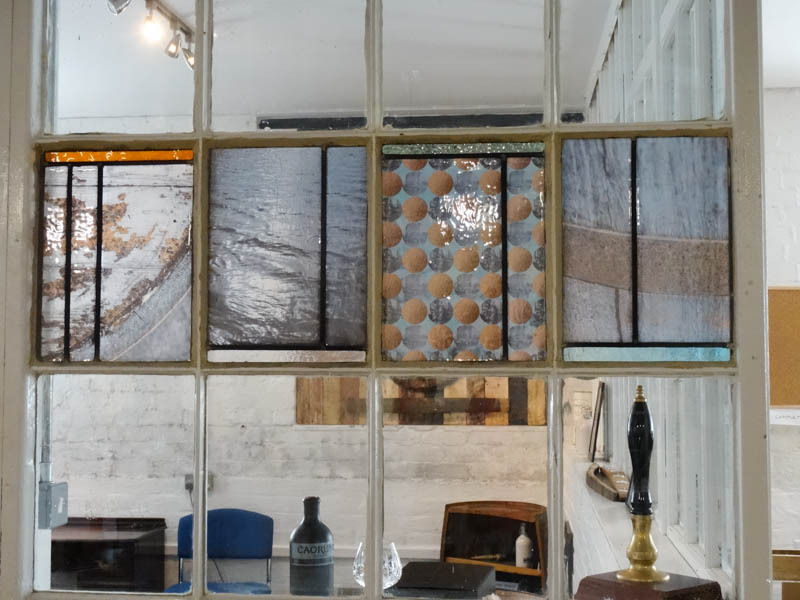 The Visitor Centre is well laid out with plenty of space for large groups and these amazing stained glass windows. You can drop in, but if you'd like to have a tour and tasting it's worth booking ahead. Disclaimer: I was the guest of Welcome to Fife and I'd like to thank them and the host organisations who made this a truly memorable trip. I'm sure you would be very welcome Jo! It was so good. Wow, what a fabulous foodie trip! That all sounds wonderful - I recently visited a distillery in the Brecon Beacons and found it fascinating. Ha ha, Helen. it was a great experience. You should Dom, it's a hop and a skip from Edinburgh, which I know is one of your favourite places to visit. oh the food looks lovely and the tour looks amazing. I must come back to Scotland soon, its really not far. My gosh what a foodies delight trip you guys went on. I would love to check out the cupboard sized smoker. 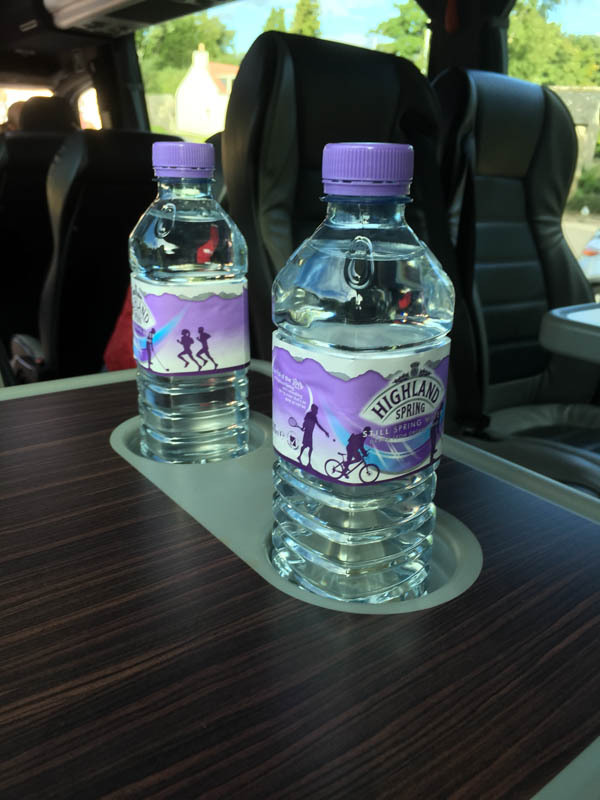 Taste bud perfection, and a lovely bit of scenery to boot!